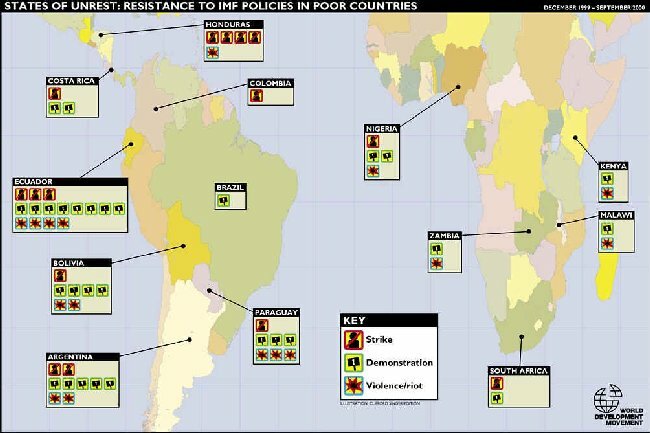 www.agp.org | archives of global protests: IMF - "States of Unrest"
Since Seattle last year, the media has heralded the dawn of a new movement in Europe and America, epitomised by protests aimed at the WTO, IMF and the World Bank. However, this 'new movement', portrayed by the media as students and anarchists from the rich and prosperous global north, is just the tip of the iceberg. In the global south, a far deeper and wide-ranging movement has been developing for years, largely ignored by the media. What follows is a summary of protests and demonstrations organised by the southern poor. They are aimed at policies that hurt their livelihoods and, in some cases, undermine the democratic foundations of their countries. This 'hidden' movement has a global reach and signals a deep unease at economic policies that keep the poor in poverty. All of the developing countries detailed in this report have experienced civil unrest in the past year. Teachers, civil servants, priests, farmers, students, doctors, trade-union activists, indigenous peoples and women's groups have called on their governments to halt the introduction of economic reforms which have by-passed their national democratic institutions, and have been foisted on them by the IMF and World Bank. These are poor people, in a desperate situation, who are striving for respect, dignity and a sense of pride in their lives and countries. Their voices deserve to be heard. But they're not. Developing countries are still locked into a dependant relationship with the international financial institutions and donor governments. Despite the rhetoric of poverty reduction, debt relief and economic stabilisation, these countries must still implement liberalisation policies which hurt the poor. This report shows how deeply the poor oppose them. Removal of price controls, leading to rapid price rises for basic goods and services. In 1999, these notorious SAPs underwent a transformation following criticism of their content and undemocratic nature. At last year's Annual Meetings, the Enhanced Structural Adjustment Facility (ESAF), responsible for providing loans to up to 80 countries, was renamed the Poverty Reduction and Growth Facility (PRGF). In addition, Poverty Reduction Strategy Papers (PRSPs), which must be drawn up in consultation with civil society, were introduced to meet fears that governments lacked 'ownership' of SAPs. But early evidence suggests that PRGF conditions are almost identical to the old ESAF conditions, and that PRSPs will closely resemble SAPs. The names may have changed but the economics has stayed the same. For countries outside the remit of the PRGF, the IMF remains as inflexible as ever. Loans from the IMF are always conditional on the implementation of structural reforms, and countries seeking the IMF's international 'seal of approval' are always 'encouraged' to continue with SAP-style policies. All these policies hurt the poor. Developing countries have few choices - either implement policies ill-suited to their country or risk economic isolation. Most governments, seeking to retain power and be accepted internationally, choose the IMF over their own people. One of the objectives of IMF and World Bank conditions is to leave economies well governed and increase stability. Instead, SAPs have undermined the ability of democratic governments to set their own priorities and policy objectives; instead, they often rush through economic reforms without adequate legislative or democratic processes. While governments are held responsible for the social and economic upheaval which results, the IMF and World Bank escape largely unscathed. These institutions have little accountability to any electorate, and remain forever at arm's length. At best, they offer advice to the governments 'to continue building the necessary political support for reforms', and at worst distance themselves completely from failed programmes, blaming inadequate political will or corruption. SAPs, which cut back the role of the state, ignore the basic function of governments - to provide social services to their citizens. If governments are unable to provide these services because of budget cuts or debt servicing, governments lose their legitimacy in the eyes of their citizens. It would be wrong to suggest that developing countries have no responsibility. Some have embraced the proposals willingly, others have been guilty of corruption. But our point is that civil society's attempt to democratise their own governments is made substantially more difficult, if not impossible, by the imposition of IMF conditions. There is no room for flexibility in negotiations with the IMF. This is compounded by the current revamp which seeks to dress SAPs up in the rhetoric of PRSPs, which could make matters much worse. The policies will stay the same, but instead of being explicitly prescribed by the IMF, they will be covertly pushed on government officials by 'IMF advisors'. In the long run, PRSPs will only help the IMF pass the buck when things go wrong. When democracy is undermined and governments are unable to act in the interests of their electorate, one of the only channels left is for citizens to demonstrate. Civil unrest, demonstrations and strikes should indicate to governments, law-makers and the international community that policies are not working. In March 2000, the IMF approves a US$7.2 billion three-year stand-by credit on the condition that the Government continues with key fiscal and structural reforms. Within the agreement, there is specific reference to the importance of "the proposed labour market reform and deregulation", and to "the further reform of the social security system". A wave of strikes hits the newly elected centre-left Government as it tries to introduce reforms of its labour laws in response to discussions with the IMF. The reforms will dilute the trade-union movement and reduce the rights of workers. Mr Montoya, one of the leaders of Argentina's biggest union umbrella group, the General Confederation of Labour (CGT), has already likened the strikes to the ones which caused economic and social chaos in 1983-89, leading to the downfall of the then President, Raul Alfonsin. Montoya says that Mr De la Rue, Argentina's current President is "committing the same error as Alfonsin". The package of labour reforms is passed by the Senate, while thousands of demonstrators picket Congress, leading to violent clashes with the police in which more than 30 people are injured and about 50 arrested. IMF-prescribed Government cuts in the social security system lead to violent demonstrations in the Salta region. Peaceful protests erupt into violence after demands for unemployment benefits and severance pay are ignored by local officials who can no longer provide them. The protesters set fire to public offices before being subdued by armed riot police, leaving dozens injured and many arrested. Rural communities in a similar situation block roads and organise protests to disrupt visiting government officials in an effort to voice their concerns about the increasing deterioration of social provisions. Protests against the IMF austerity plan, which will raise taxes, reduce social spending and cut salaries, culminate with 80,000 people taking to the streets. The protest is called by the three largest trade unions, the Catholic Church (usually too conservative to support such actions) and politicians, from both the governing Alianza coalition and opposition parties. Protesters likened the IMF to a 'financial dictatorship' and promised 'fiscal disobedience' by refusing to pay their taxes, which have jumped from 8 to 22 per cent. One of the 14 dissident members of the Alianza coalition states that "we want to insist that the Government apply the programme for which it was elected and not this series of adjustments that only serve to shrink the internal market and create a recession". Guillermo Garcia Canedo, the secretary of the Social Pastoral Argentine Episcopate of the Catholic Church, backs the march to uphold the recommendations of Pope John Paul II, who wants the IMF and World Bank reformed. Canedo says, "It is essential to create unity among social sectors in order to firmly tell the IMF we have had enough of its adjustment policy." In a survey by the Argentina-based Centre for Public Opinion Studies, 70 per cent of those polled identify the IMF as responsible for budget adjustments, 65 per cent believe its policies are not successful, and 88 per cent maintain that the Government should place limits on the IMF's requirements. In a separate poll, the approval ratings for the Government's economic policy fall from 35 per cent in January to 13 per cent in July. In continued defiance of the new IMF-prescribed labour laws, a 24-hour general strike is supported by more than 7.2 million workers. The President, Fernado de la Rua, is reported as saying that the Government has no choice but to meet targets set by the IMF. The report continues that the Government and the workers are in deadlock, and more strikes and disruptions are inevitable. Teachers and scientists go on a one-day strike to protest against a 12 per cent cut in wages. These wage cuts are in line with IMF austerity measures. In August, the Financial Times reports how "a wave of discontent is sweeping across Argentina, eroding the government's political capital and prompting it to adopt desperate measures to create jobs and kick-start the economy. But the measures may have backfired and put the brakes on the economy [and] even supporters of the governing Alliance will be looking to distance themselves from an unpopular government." The FT fails to mention the IMF's complicity in the Argentina's social turmoil and the Government's failed programme of reforms. The Argentine courts find the IMF directly responsible for Argentina's debt. In an unprecedented judicial ruling, condemning the illegitimate origins of the country's debt amassed during the military dictatorship of 1976-83, Judge Jorge Ballestro says that the outstanding debt is part of "a damaging economic policy that forced [Argentina] on its knees through various methods, and which tended to benefit and support private companies - national and foreign - to the detriment of society." The ruling specifically cities the IMF as being responsible and states that "it could not pass unnoticed among the IMF authorities who were supervising the economic negotiations". As the hearing concludes, more than 5,000 people gather outside the congressional building in the capital to demonstrate their support. Bolivia has been working with the IMF since 1985, and received an ESAF loan for US$138 million in September 1998, which set out "plans to privatise all remaining public enterprises", including the water industry. In February 2000, the IMF grants another US$46.1 million PRGF loan in addition to US$1.3 billion in debt relief under the Enhanced HIPC Initiative. These are granted on the condition of Bolivia's continued "progress in the implementation of structural reforms." IMF structural adjustment reforms lead to water prices in Cochabamba, Bolivia's third largest city, rising by as much as 200 per cent, provoking widespread protests. The average water bill is estimated to equal 22 per cent of a monthly wage of a self-employed man and 27 per cent for a woman. In January, an alliance of factory workers, farmers, students and environmentalists protest against the continued high price of water in the city. After the protesters shut down the city for four days, the Government promises to reverse the rate increase. The Government cannot act on its promises due to the IMF conditions. More than 1,000 protesters take to the streets and are confronted by a similar number of riot police and soldiers, who disperse them with baton charges and tear gas. More than 175 people are injured and two are blinded. The Government again responds by promising a price freeze until November when they promise to re-open negotiations. Water prices still do not change. Exasperated by the Government's lack of commitment to alleviating the situation, more protesters take to the streets, this time joined by more than 1,000 rural peasants fighting the privatisation of rural water supplies. Protesters block roads and demonstrations explode into violence. The town hall is stormed. The President, Hugo Banzer, declares a state of emergency, restricting civil liberties. Protest leaders are arrested. Rubber bullets are replaced by real ones. Bolivian television shows an army captain firing into an unarmed crowd. Only then does the Government revoke the concession of the multinational controlling the city's water. Reports claim that as many as eight people are dead, including two farmers, two soldiers, one police officer and three protesters. In La Paz, there are also scattered protests in which 30 people are injured and 11 students arrested. In a separate incident, hundreds of police officers go on strike in the capital, demanding salary increases. An Inter Press Service report claims that the protests are the President's "lowest point in his two years and eight months in office because it deepened existing conflicts and created a general feeling of contempt for the government". It also suggests that the failure of the Government to deal with the protests democratically is an expression of disenchantment with Bolivia's democracy. Erick Torrici of the Andean Community of Nations and an expert at the Andean University says, "Such as it stands, democracy is reaching its limits. The content of recent demonstrations responds to a situation that reveals the inadequacies of a merely electoral democracy." Maria Teresa Segada, a specialist from the Higher University of Sans Andres, explains further how "when the neoliberal economic model was implemented in 1985, [with the beginning of SAPs] government leaders asked the Bolivian people for patience and sacrifice, but now, 15 years later, patience has run out because the model did not meet expectations." While the country is in turmoil, however, the National Forum on Poverty Reduction, organised by Jubilee 2000 in La Paz, undertakes the largest public consultation exercise in the country's history, involving 429 participants, including 90 departmental delegates, 275 representatives from 114 organisations and 64 international representatives. The aim of the forum is to assess key areas for poverty reduction in the country, and runs alongside the government's National Dialogue, which is part of its PRSP consultation exercise. Liana Cisneros from the Latin America Jubilee 2000 Network says, "The creditors' response to Bolivia's debt crisis has consistently been inadequate. Poverty levels in Bolivia remain devastating. The IMF would do well to study the findings of the Forum for ideas on how to reduce poverty." In November 1998, the IMF offers Brazil a US$18 billion stand-by loan. Conducting their fifth review of the agreement the IMF "noted with satisfaction" the success of the Brazilian economy, although it "encouraged the Brazilian authorities to press ahead with their privatisation efforts and the further liberalisation of external trade". A Tribunal on Foreign Debt in Rio de Janeiro claims that "the policies of the IMF have proved disastrous and have increased the foreign debt even more, while imposing the endless moratorium on social spending. Those who must pay the debt are children, workers in rural areas and the countryside, black people, indigenous people and the environment." The Tribunal, organised by Jubilee 2000, includes Dr Luiz Cernichiaro, Minister of the Supreme Court, Federal Judge Dra Maccalos and other prominent lawyers. It has the backing of trade unions, the Catholic Church and the Landless Movement. A referendum asking whether Brazil should discontinue IMF reforms is backed by more than a million people. Organised by the National Council of Bishops and Jubilee 2000, the 'unofficial' referendum is a marked success. On the 7 September, to mark the end of six days of voting and Brazil's Independence Day, a demonstration draws thousands of protesters under the banner of Cry of the Excluded. All the main cities in Brazil are "crammed", say reports, with more than 100,000 people in Sao Paulo. The Government had previously called the referendum "stupid" and an isolated project undertaken by "minorities". In September 1999, the IMF approves a three-year credit worth US$2.7 billion in support of "the government's structural reform agenda", which includes policies to "downsize the public sector, mainly through privatisation, and reduce public sector spending". In the annual review of this agreement, the IMF "welcomed the continuation of the recovery of Colombia's economic activity, despite the challenges posed by the political and security situation", and describes the importance of dealing with the programme's "social fall-out" if private and foreign investment is to continue. About 15,000 workers go on a 24-hour general strike to protest against IMF-imposed austerity measures being implemented by President Andres Pastrana. Colombia has the highest unemployment rate in Latin America, with 20 per cent of the population without work. The recent 2001 budget is announced by the Finance Minister as the budget of "sweat and tears", with 5,000 public sector jobs to go and wage increases to be kept below the rate of inflation. There will be little compensation of workers as the Government continues its cutbacks on social security provision. The conditions laid out in the US$2.7 billion IMF loan require Colombia to further open its economy, privatise public companies and cut back spending. In 1995, Costa Rica was granted an IMF stand-by credit for US$78 million on the condition that "private sector participation in areas previously reserved for the public sector is increased" and "a far greater role by foreign investors in areas such as electricity generation, insurance and banking" is provided for. In the 1999 annual review of Costa Rica's economic programme, the IMF urges the "prompt approval of the draft legislation to open up electricity generation, telecommunications, and the insurance sector to private sector participation as essential." Often known as the Switzerland of the Americas, Costa Rica has a sound reputation for democracy, peace and good welfare provision. The Costa Ricans have managed to by-pass much of the internal conflict and strife which has racked their neighbours. As The Economist points out, "Costa Rica has other advantages, rare in the region. These include a democratic tradition, respect for the rule of law and a well-educated workforce." However, market reforms, bolstered by the IMF, seem to threaten this previously peaceful and democratic nation. Since Congress passed a law allowing the state telecommunications company, the Costa Rican Electricity Institute (ICE) to be privatised, there have been a series of strikes and demonstrations. ICE stands as a national symbol of the welfare state and many believe this is the beginning of further measures to privatise Costa Rica's assets. The fate of other reforms hinge on the success or failure of the ICE privatisation - the Government already has plans for the state banks and private insurance. The introduction of a bill outlining the IMF-prescribed privatisation of ICE leads to widespread protests. During protests on 16 March, one person is killed in Ochomogo, five are wounded, and several injured, including 30 police officers, as riot police clash with demonstrators. At least 50 student protesters are arrested. Television images show police beating youths who are trying to run away. In Perez Zeledon, five demonstrators are wounded by police gunfire, 30 police officers are hit with stones, and 50 students are arrested. Police report that 40 protests have taken place on 21 March all around the country. On 23 March, 10,000 marchers descend on the presidential residence demanding the withdrawal of the bill. In a clash with university students in a San Jose suburb, police beat demonstrators and arrest 52 students. A protest is met with "unaccustomed brutality by riot police". Rodolfo Cerdas, a political analyst, says that "these protests are a struggle to elevate the quality of Costa Rican democracy. We have a politics of ivory towers. People think politicians only have their own interests in mind." Opinion polls support his views. A University of Costa Rica survey finds that 53 per cent oppose the ICE reform while only 20 per cent support it; 92 per cent say they should have been consulted and 84 per cent believe there should be a referendum. In April 2000, the IMF grants a stand-by loan worth US$304 million which will mobilise over $1.7 billion in additional resources from other creditors. The agreement notes that "the programme [of reforms] is very demanding and successful implementation will require firm resolve on the part of the authorities, and the support of the Congress and the public at large". The reforms include the dollarisation of the economy, wage restraint, the removal of subsidies and "for important structural reforms in the labour market, the oil sector, and privatisation". In the first review of this agreement, the "directors were encouraged by the steps taken to inject more flexibility in the labour market, increase private sector participation in the economy, as well as the commitment to phase out price regulations on domestic fuels and electricity. It was also noted that a more liberal trade regime would complement these reforms." Delays in negotiations with the IMF leave the Government without the means to reactivate the economy. The deepening economic crisis, and the social instability it causes, results in the elected President, Jamil Mahaud, declaring a state of emergency to contain growing protests. The crisis, which has been escalating for a year, leads to consumer prices rising by more than 60 per cent and a 7 per cent decline in economic growth. Confidence in the Government falls sharply, with the national currency, the sucre, losing 21 per cent of its value. The state of emergency allows the administration to avert demonstrations which it believes are "interested in destabilising the government", preventing groups from congregating and giving the authorities power of dispersal. Lawrence Summers, US Treasury Secretary, pledges full support for Ecuador, saying that Bill Clinton has phoned Mahaud to offer his support in the growing climate of instability. Summers says that the "achievement of stability and confidence in Ecuador was very much in the interests of the US" and that the IMF is likely to send a team of delegates to the country. In Quito, military chiefs publicly throw their support behind the President, dispelling international fears of a coup attempt. They reject "any attempt to break the legal order" and call for a solution "within the constitutional and democratic framework". Organised by the Confederation of Indigenous Peoples, 40,000 Indians plan a week of protests, including a march on Quito and other major cities, against the Government's IMF-prescribed policy reforms. 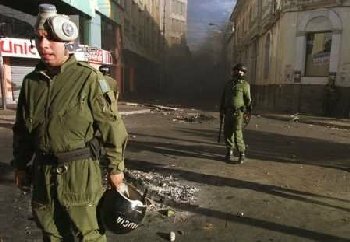 Ecuador's Government deploys 35,000 soldiers and police to control the situation. The protesters call for the President's resignation, an end to the reforms urged by the IMF, including the dollarisation of the economy, and for an end to economic instability. Blanca Chancosa, one of the leaders, says that the President "has not had the political will to fix the country. He does not have the capacity. Let him step aside so that the people can designate other persons more honest and with a will to carry out a new form of government." About 3,000 protesters occupy Ecuador's Congress building while more than 10,000 protest outside. The involvement of military guards, which allow the protesters inside, fuels speculation of a possible coup attempt despite reassurances from Carlos Mendoza, head of the armed forces. Protesters also surrounded the supreme court despite police attempts to disperse them with tear gas. In Guayaquil, Ecuador's second largest city, demonstrations become violent, leading to several injuries. Protesters claim that the Government's plan to scrap the national currency and adopt the dollar will further impoverish the country. A statement from the White House rejects "the actions of those who have occupied the Ecuadorian National Congress and are seeking to establish an unconstitutional regime". Other nations across the continent also condemn the actions of protesters claiming that they are tantamount to an attempted military coup. Mahaud flees the Presidential Palace and the military take power. With an armed guard of troops loyal to him, Mahaud goes into hiding after a week of demonstrations and a retraction of Mendoza's previous statement in support of the government. Mahaud's vice-president, Gustavo Noboa, becomes the new President in a special session of Congress in which the military junta hands back power. However, leaders of the protest movement oppose Noboa's succession, saying he is in the pockets of the IMF and the US. Antonio Vargas, one of the indigenous leaders, denounces Mendoza for betraying the protesters, who want to create a new form of government to target corruption and poverty. He also says that Noboa has only been installed after pressure from Washington. Noboa confirms that he will continue with the IMF-advised reforms and hopes to bring the country back to stability, especially with the backing of the military. The Financial Times suggests that Noboa will enjoy more support from Congress and from business, especially after the "country's brief flirtation with a return to a dictatorship after 20 years". However, the report says that unless the new President wins the support of the protesters, who oppose the IMF reforms, he too will face a rough ride. In order to qualify for an IMF loan, the Government introduces a package of new laws to reform the labour market and the financial sector, increase privatisation efforts, provide oil pipeline permits and, controversially, dollarise the economy. The National Educators Union goes on strike for five weeks over the proposed IMF cuts in spending and salaries. Noboa says he will take a tough stance: "I'm willing to go all the way with this. If they want to strike for a year, let them do it. We're not going to back down." Protests by teachers in Quito are dispersed by riot police using tear gas. Noboa grants an amnesty for all civilians and military personnel who took part in the military coup in January. He explains that the amnesty is an effort to keep the peace in Ecuador. The Government removes fuel price subsidies in line with their IMF agreement, resulting in the rise of petrol prices. Noboa tries to explain to critics that "we did the best we could for all the Ecuadorian people, and in accordance with the IMF". Ecuador's new President faces his first general strike, organised by trade unions and church groups, against continued IMF economic reforms. Wilson Alverez, president of the Workers United Front, a union umbrella group, says, "We're going to take to the streets to reject the economic package, reject the miserable increases in salaries and the hikes in fuel and electricity costs." Among those striking are more than 30,000 doctors, who stage a 72-hour sit-down protest, as well as teachers, oil workers, and other public sector workers. In Quito, protesters who try to march on the government palace are met with tear gas and riot police. One passer-by receives a bullet wound. In Guayaquil, a bomb explodes outside Citibank and demonstrators are dispersed with tear gas. On a trip to London, Nina Pacari Vega, the Pachakutic leader (the political party set up by indigenous groups), says that the economic reforms are unconstitutional and have triggered sharp price increases. "Dollarisation isn't the most viable way to bring about economic recovery." The Financial Times reports that Noboa was recently visited by Thomas Pickering, the US state department number three, and by Cesar Gaviria, the head of the Organisation of American States, who both call on the armed forces to uphold the constitution, and for certain military officers to face discipline after January's events. The report also outlines how the President is trying to win political support for the IMF-imposed economic reforms, promising consultation with indigenous groups and highlighting the benefits reforms will bring to the country. But opponents of the reforms remain entrenched and want plans for dollarisation and privatisation scrapped. Noboa sees an 8 per cent drop in the polls, with only 43 per cent of the population backing his Government. Passage of the IMF dollarisation bill through Congress continues to provoke controversy and results in violent exchanges and physical fighting in the Congress chamber. The bill causes great rifts within parties and between members of Congress. Noboa fails to gain military support to dissolve Congress and end political wrangling about the IMF reforms. Although military leaders reject the plan to dissolve Congress, the attempt by Noboa shows he is increasingly worried by political and economic instability. In a separate move, however, Noboa wins collective agreement for his cabinet's resignation. The Confederation of Indigenous Peoples (Conaie), which was instrumental in the downfall of the last President, calls for a popular uprising against Noboa. Condemning the IMF reforms, and saying that Ecuador will become a colony of the US, the organisation plans a series of strikes. Ecuador formally adopts the dollar as its currency. The IMF states that "dollarisation has proceeded rapidly and has calmed the financial markets". Ecuador's transition to the dollar turns into chaos as, due to bad planning, many people are left without the means to buy or sell. Although trading is now meant to be in dollars, many small shops and stall-holders have been left without coins to exchange. Roberto Aguirre, an economist, says that the Government has rushed dollarisation and has not planned the switch thoroughly enough. "There has been a lack of foresight by the Government in not providing coins in time and in sufficient amounts." The IMF grants a US$21 million loan on 7 June 2000 under the PRGF. The IMF urges the Honduras authorities "to proceed quickly with structural reforms, especially the privatisation of telecommunications and electricity distribution and the reform of the social security and pension system". On 10 July 2000, Honduras receives US$900 million in debt relief under the Enhanced HIPC Initiative in "recognition by the international community of the country's progress in implementing reforms in macroeconomic, structural and social policies". A series of strikes hit the country, demanding an end to IMF public service cuts. On 12 May, 8,000 hospital workers strike to demand a pay-rise, affecting 28 hospitals and 500 clinics. Riot police are deployed in and around public hospitals to maintain order. On 26 June, thousands of workers take part in a national strike demanding an increase in the minimum wage. Protesters block main roads and the state-run port company, and a number of banana plantations are closed. On 27 July, thousands of secondary school teachers go on strike over unpaid wages, affecting about one million pupils. Teachers have not been paid since February. A 24-hour general strike on the 24 August opposes IMF backed economic reforms. The Government's plans to privatise state-owned electricity, telecommunications and social security sectors to comply with IMF requirements cause disruption to education, transport and health services. Organised by the Popular Bloc, and comprising farmers, workers and students, the protest closes universities, affecting 60,000 students, and blocks services at hospitals and major highways. On the 28 July 2000, the IMF resumes lending to Kenya with a US$198 million PRGF loan. The loan is in recognition of the Government's renewed programme to address the causes of financial instability and low growth, namely "stop-go macroeconomic policies [and] slow structural reform". These policies include "macroeconomic and structural reforms civil service reform [and] privatisation". A peaceful demonstration calling for debt relief and an end to IMF conditions ends in violence and arrests of church leaders; 63 protesters, including 13 nuns and 2 priests, are arrested at a debt cancellation march in Nairobi. The march, organised by the Kenyan Debt Relief Network (KENDREN), a network of church groups, human rights organisations and the Green Belt Movement, was peacefully making its way to the offices of the World Bank's Representative to present a letter to end Kenya's debt. Riot police arrive at the end of the march and "broke up the protest with clubs and tear gas, violently hauling marchers into a waiting vehicle". There are several injuries, including children and an Islamic sheik (priest). Spokespersons among the group say it is the first time the Kenyan authorities have dared to jail a Roman Catholic priest and nuns. The protesters are eventually released on bail and, at their court hearing on the 22 May, the charges are dropped. Brother Andre of the Divine Word Missionaries, one of the arrested marchers, says in a recent letter, "The IMF and World Bank have power over the financial decisions of poor countries. Often poor countries have totally lost their autonomy. They are often recolonised, with the powerful countries dictating the terms." The Stakeholders Support Group (SSG), formed by Kenyan opposition party members, lawyers and NGOs, protests against the IMF's resumption of lending to the Government, saying the administration has not made the necessary reforms to stamp out corruption. The Government claims it has made all the reforms required by the IMF and World Bank, but the SSG wants any new aid tied to constitutional reform. There are fears that President Daniel Arap Moi will try to hold on to power after his term of office runs out in 2002, and the SSG accuses the British government of pressuring the IMF to resume lending in order to keep him in power. President Daniel Arap Moi complains that the conditions imposed by the IMF and World Bank for their new aid programme to Kenya are too harsh: "We have been paying our debts for the past nine years but have not received anything in return. Our economic growth will definitely slow down as a result of the conditions. These conditions are the toughest ever imposed on Kenya." The IMF senior advisor for Africa, Jose Fajgenbaum, defends the terms of the loan approved by the IMF in late July. He says, "Complaints that the loan conditions infringed on Kenya's sovereignty were an exaggeration", adding that "the reporting requirements attached to the aid package were normal. They were the same as had been expected of Kenya as part of previous IMF aid programmes." The IMF grants US$10.6 million credit on 25 October 1999 under ESAF. The Malawi government is warned in the agreement that "structural reforms will be critical in achieving success and in accelerating the mobilisation of committed external assistance. Directors [of the IMF] urge the [Malawi] authorities to accelerate the pace of structural reforms." Protests opposing IMF conditions end in violence. Trade unionists and human-rights activists try to march to the New State House, where a Consultative Group of western donor countries are meeting government officials. The protesters, carrying placards protesting against the effects of SAPs, are stopped by police. They are then dispersed by tear gas. On 4 August 2000, the IMF approves a stand-by credit worth US$1,031 million for Nigeria's 2000-01 economic programme. The IMF notes "An acceleration of the implementation of structural reforms is urgently needed, including to tackle serious deficiencies in the provision of power, telecommunications and petroleum that are obstacles to growth." While stressing the need for an adequate privatisation framework, they urge that "there should be no delays in this urgent task". They warn that this "will require diligence and resolute efforts by the authorities to overcome evident weaknesses in institutional capacity". Despite the democratic elections in May 1999 of Nigeria's new President, Olusegen Obasanjo, the country has continued to experience protests and riots calling for an end to IMF-induced fuel price rises. Civil society groups show dismay that their elected president is continuing with the unpopular IMF-advised policies. Nigerian newspapers report the "same old story", with Obasanjo planning to deregulate the oil sector and raise petrol prices. M Arigbede, national co-ordinator of the Nigerian Poverty Eradication Forum, says that Obasanjo is succumbing to IMF and World Bank pressure to implement the policy: "Obasanjo is pretending that he is taking a decision in the interest of the people. That is deceitful. Deregulation is going to compound the poverty situation immensely. "Adams Oshiomhole, a union leader, says, "We are on a mission to rescue the president [who has] been hijacked by the IMF and the World Bank. This country belongs to Nigerians." The Nigeria Labour Congress (NLC) takes 5,000 workers on a march to show their opposition to the deregulation of the oil sector. They march on Aso Rock, where they are attacked by armed police. Gani Fawehimi, a lawyer and human rights activist, says, "It is sad and ironic that Obasanjo's regime, which was brought into power by democratic process, is now unleashing autocratic violence on the representatives of labour who are protesting against the plan of the regime to increase petroleum from January 2000. The employment of force by the Nigerian Police, which is directly under the president, against unarmed protesters, amounted to a violation of the constitution of this country, particularly the fundamental rights of peaceful protesters." Previously, the National Economic Intelligence Committee warned that deregulating the oil sector "may compound rather than relieve the situation" and suggested a number of measures to prevent "importers making huge profits at the expense of the country and its ordinary citizens". These include consultation with labour representatives and the passing of an appropriate legislative framework to channel benefits of deregulation back into the country. It stresses that raising the price of oil will aggravate an already volatile situation. The Government continues with the IMF-advised fuel price hike, and in response Nigeria is crippled by the most serious general strike since the end of military rule. Oil workers are joined by public sector and transport staff while Lagos port and highways are blockaded, and both international and domestic flights disrupted, and all petrol stations closed. Sporadic violence is reported across Nigeria's cities, leading to several deaths. In Abuja, two police stations are burned down. Kwesi Owusu, Head of the Jubilee 2000 Africa Initiative, says, "Popular outrage alone does not change the minds of governments under such tremendous pressure from the IMF to implement stringent measures that are at odds with what this country and its people desperately need." He adds that "they [the IMF] are now hell bent on squeezing the last drop of blood out of a new democratic government that is struggling to restore social and economic stability". The Nigerian House of Representatives adopts a non-binding motion urging the federal government to suspend all activities in respect to the IMF loan. The speaker, Umar Ghali Na'Abba, calls for a full disclosure of information about the IMF and its relationship with Nigeria: "It is only then that we can be properly equipped to delve into these things." Despite securing the IMF loan, the Nigerian Assembly is concerned about further IMF-advised privatisation. The Assembly starts a "privatisation consultation", stating that the previous privatisation programme was inadequate due to the "absence of a complete and properly attuned legal framework". Nze Chidi Duru, the chairman of the House Committee on Privatisation, also observes that "the stringent opposition to privatisation was generally from workers and the labour unions [but] today the array of complaints has broadened to include many other shares of opinion including estate surveyors and valuers, engineers, shareholders and many others". In a linked venture, the Assembly introduces a bill to repeal the previous privatisation laws and "for the suspension of the privatisation exercise until an adequate legal framework was provided". James Mutethia, a Nigerian journalist, notes that "African countries are being asked to impose austerity measures on the populations, to sell state-owned enterprises to foreign multinationals and give up more and more of their political independence - those who accept the conditions are offered more loans and shown as good examples to the rest. Those who do not are subjected to more subtle economic pressure." The report continues, "In order to qualify for more aid and loans, the governments in these countries have implemented one austerity measure after another. The governments have only refused to implement more measures when it became politically explosive with workers organising protests and strikes. Yet the IMF has argued that they have not done enough. The upshot of the austerity measures has been that these governments have diverted money from development and expenditure on social services to debt repayments." In last year's annual review of Paraguay's economic programme and performance, the IMF expresses its disappointment at the Government's "lacklustre performance" resulting from "the failure to implement needed structural reforms". They offer the following advice: "Directors underscored the importance of sequencing structural reforms appropriately while proceeding with the necessary changes in the civil service and the social security system. They also expressed concern over the high level of the minimum wage vis-a-vis Paraguay's major trading partners, and noted that the rigidities embodied in present labour market arrangements would become more evident as the economy opened itself to world trade. Directors therefore urged the authorities to proceed with the necessary labour reforms." In an address to the IMF and World Bank, Federico Antonio Zayas Chirife, Governor of the Bank for Paraguay, states how "we [Paraguay] wish to reaffirm here today that the Paraguayan people are committed to defending our Republic's democracy and its institutions and are willing to undertake a successful structural transformation of our society and national economy." Protesters clash with police in demonstrations against 'non-negotiable' IMF reforms. Protesters call a 48-hour general strike against the Government's plans to privatise its telephone, water and railroad companies. In Asuncion, over 20 people are injured and five arrested as riot police attack them with truncheons. In a linked protest in the east district, 300 protesters are dispersed with water canons while two buses are set on fire at the bus terminal. Nearly half of the capital's shops are closed and residents are transported in military vehicles as protesters block public transport routes. A presidential spokesperson says that the policies were 'non-negotiable' because the Government needs to meet IMF targets to access up to $400 million in loans from the World Bank. In this year's annual review of South Africa's economic policies, the IMF notes "the extremely high level of unemployment" and urges the Government to accelerate "structural reforms, increase domestic investment, attract foreign investment, and enhance efficiency". This challenge will require "faster and deeper implementation of the reforms, most notably in the areas of labour market reform, trade liberalisation, and privatisation." The Congress of South African trade unions (COSATU) begins a programme of mass actions to protest against rising unemployment and labour market reforms. The strikes are planned to stretch over five weeks and be staggered over different sectors, beginning with automobile, textile, metal and leather industries and followed by the public sector. Since the end of apartheid in 1994, COSATU has helped introduce labour laws which protect the right of workers. But recent attempts by the Government, encouraged by the IMF, to implement wage restraint and labour flexibility - in order to attract foreign investment - have meet widespread opposition. The unions believe that the Government is liberalising the economy too quickly without making adequate provision for redundancies and job maximisation. Gerrie Bezuidenhout, policy executive at SACOB, the South African Chamber of Business, says, "The government is sticking to what is generally seen as sound economic policy but the improvement in the economy has not translated into jobs." Unemployment is estimated at 35 per cent. Recent Government reforms have been praised by the IMF but have put increasing pressure on the alliance between COSATU, the ruling ANC party and the South African Communist Party, risking its continued stability. Government plans include the amending of labour laws, which the ruling alliance has spent the last five years putting in place, saying they are too "worker-friendly" and discourage investment and employment. Opposition leaders believe that President Mbeki's hard line on leftwing labour activists, his support for inflation targeting and his plans to accelerate the restructuring of state assets will jeopardise "the glue that holds together the alliance of the ANC". Protest outside the meeting of IMF and government officials. One of the protesters, Trevor Ngwane, a city councillor from the Soweto township, says, "Many of those debts were used to buy weapons and suppress the people during apartheid. So we are paying twice for it - once with our lives, and now with an inability to fund critical social services. Instead of building health clinics the Government is selling off zoos and libraries to stay in the good graces of the IMF." South Africa's Finance Minister, Trevor Manuel, says that the main challenge for developing countries is to create an alternative model to global trade and financial institutions such as the World Bank and IMF. Manuel is chair of the 2000 Annual Meetings in Prague and says he will use the opportunity to help the cause of developing countries. But he also notes that "no one has come up with an alternative model so far", and until developing countries suggest ways of reforming the institutions, they shouldn't "whinge". The IMF grants a three-year ESAF loan worth US$349 million on 26 March 1999 on the condition that "the Government will increase reforms in the areas of privatisation, public service, and monetary and banking supervision". On 27 July 2000, the IMF approves an additional US$13.2 million PRGF loan. The agreement affirms that "the [Zambian] authorities intend to pursue a prudent monetary policy and to limit the credit to public enterprises [and] complete the transition to a private-led economy, including the privatisation of the remaining public utilities and the operations of the oil sector." Zambia's President, Frederick Chiluba, blames the IMF for the economic problems of his country, stating that reforms which were meant to bring prosperity to the country have only brought unemployment and a rise in poverty levels. He says that western countries have told Zambia "to do certain things" to help the economy, which would lead to increased economic stability. He adds, "Then we are told, No, No, No, Africa needs to embrace the spirit of partnership with NGOs, but where I come from, ZCTU also wants increased wages. And then the IMF says do not give them, we do not know which way to go. The problem we have in Africa is that we are rushing reforms as if that is the only panacea to the problems." He says that if reforms are rushed and not understood by the people, they may not help at all. Scores of protesters, demanding an end to IMF SAPs, are dispersed by armed riot police in Lusaka, Zambia's capital, after trying to picket the hotel were IMF and government officials are meeting. Organised by a leading civil society group, Women for Change (WfC), the protesters blame the IMF and World Bank for continued poverty in their country. "The IMF are killing us, especially women and children," says Emily Sikazwe of WfC. In a separate report, Sikazwe explains, "If you want to see the impact of structural adjustment on Zambia go to the University Teaching Hospital", the capital's largest hospital. The conditions are awful, she says, and the wards are full of BIDs (Brought In Dead). She goes on to explain how IMF and World Bank privatisation policies have resulted in more than 60,000 people losing their jobs and 420,000 falling into destitution. She says that "SAPs cause poverty". The IMF urges Zambia to put economy ahead of politics. IMF First Deputy Managing Director, Stanley Fischer, says that Zambia faces hard decisions ahead of next year's elections and urges the Government not to put politics ahead of economic sense. "I leave Zambia optimistic but cautious. It is hard to take bold economic decisions in an election year. It is easy to throw away what you have built in five years to achieve short-term gain when the long run needs are very clear." 'Unwrapping the PRSP: can the IMF deliver its poverty reduction promises? ', World Development Movement, June 2000. 'Still Sapping the poor: a critique of IMF poverty reduction strategies', World Development Movement, June 2000. 'IMF approves US$7.2 billion three-year stand-by credit for Argentina', IMF Press Release, 10 March 2000. 'Argentina memorandum of economic policies', IMF Press Release, 14 February 2000. 'Argentina leader gets tough on unions', Financial Times, 20 January 2000. 'Argentina's labour reform laws passed', Financial Times, 28 April 2000. 'Urgent social demands weigh upon new president', IPS, 17 May 2000. 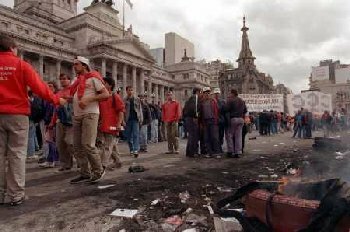 'Argentine unions call for strike to protest IMF austerity plan', AFP, 31 May 2000. 'Government adjustments trigger massive protest', IPS, 31 May 2000. 'Argentina swept by wave of despair over economy', Financial Times, 17 August 2000. 'Massive support for Argentine general strike', BBC News Online, 9 June 2000. 'Argentine teachers and scientists strike', BBC News Online, 29 August 2000. 'Landmark court ruling condemns Argentina's illegitimate debt', Jubilee 2000, 7 August 2000. 'IMF approves three-year arrangement under the ESAF for Bolivia', IMF Press Release, 18 September 1998. 'IMF approves second annual PRGF loan for Bolivia', IMF Press Release, 7 February 2000. 'IMF and IDA support US$1.3 billion debt service relief eligibility for Bolivia under enhanced HIPC', IMF Press Release, 8 February 2000. 'Cochabamba - water war', Public Services International Research Unit Reports, June 2000. 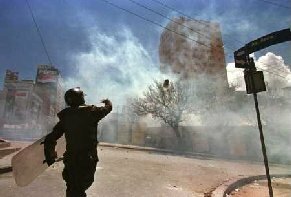 'Clashes in Bolivia', BBC News Online, 5 February 2000. 'Scattered protests in Bolivia', BBC News Online, 12 April 2000. 'Bolivia protests claim further lives', BBC News Online, 10 April 2000. 'Banzar, the siege and the market', IPS, 21 April 2000. 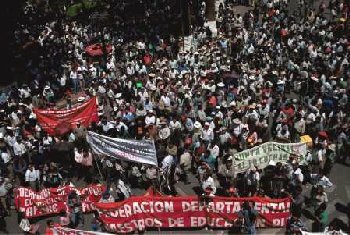 'Bolivian civil society asserts demand for involvement in fight for debt cancellation and poverty reduction', Jubilee 2000, 16 May 2000. 'Letter of intent from Brazil', IMF Press Release, 20 April 2000. 'IMF completes Brazil Fifth Review', IMF Press Release, 31 May 2000. 'Brazil says: take the creditors to court for causing the debt crisis', Jubilee 2000, 29 April 2000. 'One million vote on debt in Brazil', Jubilee 2000, 8 September 2000. 'Brazilian campaigners hold referendum on debt', Jubilee 2000, 1 September 2000. 'IMF approves three-year extended fund facility for Colombia', IMF Press Release, 20 December 1999. 'IMF completes first Colombia review', IMF Press Release, 7 September 2000. 'IMF approves stand-by credit for Costa Rica', IMF Press Release, 29 November 1995. 'IMF concludes Article IV consultation with Costa Rica', IMF Press Release, 26 October 1999. 'Chip shop afire in Costa Rica', The Economist, 8 January 2000. 'Costa Rica divided as market reforms do what wars could not', Financial Times, 6 April 2000. 'IMF approves stand-by credit for Ecuador', IMF Press Release, 19 April 2000. 'IMF completes first Ecuador review', IMF Press Release, 28 August 2000. 'Ecuador president imposes state of emergency', Financial Times, 7 January 2000. 'Summers promises help for Ecuador', Financial Times, 10 January 2000. 'Ecuador Congress overrun as Indian protests mounts', Financial Times, 22 January 2000. 'Ecuador's president flees palace amid riots', Financial Times, 22 January 2000. 'Ecuador Indians angry at betrayal', BBC News Online, 23 January 2000. 'Ecuador leader pledges stability', Financial Times, 25 January 2000. 'IMF loan to Ecuador', SAP Alert, Globalisation Challenge Initiative, 20 June 2000. 'Noboa adopts tough stance', Financial Times, 6 June 2000. 'Ecuador faces new economic protests', BBC News Online, 15 June 2000. 'Strike against dollarization and IMF', Weekly News Update, Nicaragua Solidarity Network New York, 18 June 2000. 'Ecuador Indians fight dollarisation', Financial Times, 14 June 2000. 'Noboa urges compromise', Financial Times, 26 June 2000. 'Key Ecuador Bill under the gun', Financial Times, 7 August 2000. 'Ecuador military thwarts Noboa', Financial Times, 10 August 2000. 'Ecuador's Indians call for uprising', BBC News Online, 29 August 2000. 'Ecuador switches to US dollar', BBC New Online, 9 September 2000. 'Coin shortage as Ecuador adopts dollar', BBC News Online, 12 September 2000. 'IMF completes second Honduras review and approves US$21 million loan', IMF Press Release, 7 June 2000. 'IMF and World Bank support debt relief for Honduras', IMF Press Release, 10 July 2000. 'National Strike protests IMF privatisation demands', AFP, 29 August 2000. 'IMF approves poverty reduction and growth facility loan for Kenya', IMF, 28 July 2000. 'Jubilee 2000 campaigns protest trial of Kenyan debt campaigners', Jubilee 2000, 18 May 2000. 'Kenyan debt demonstrators rejoice as charges for 'illegal' march are dropped', Jubilee 2000, 25 May 2000. 'Kenyans reject new World Bank and IMF lending', News Updates, Bretton Woods Project, April 2000. 'How African politics consumes its children', The East African (Nairobi), 30 August 2000. 'World Bank pushes Kenya to privatise power companies', The East African, 30 August 2000. 'IMF completes review and approves US$10.6 million credit tranche for Malawi', IMF Press Release, 25 October 1999. 'Jubilee 2000 campaigners meet donors in Malawi as protesters face tear gas', Jubilee 2000, 26 May 2000. 'IMF approves stand-by credit for Nigeria', IMF Press Release, 4 August 2000. 'A matter of time', Newswatch Nigeria, 12 January 2000. 'IMF oil price increase fuels protests', News Updates, Bretton Woods Project, April 2000. 'The oil price hike blunder', Newswatch Nigeria, 22 January 2000. 'Nigeria in grip of general strike', Financial Times, 10 June 2000. 'The People of Nigeria resist the IMF', Stop-IMF email list, 19 June 2000. 'Nigerian parliament rejects IMF', News Updates, Bretton Woods Project, August 2000. 'National Assembly initiates, debates new privatisation bill', Nigeria Guardian, 16 August 2000. 'Africa and globalisation', Nigeria Guardian, 15 August 2000. 'IMF concludes Article IV consultation with Paraguay', IMF Press Release, 29 January 1999. 'Statement by the Hon Federico Antonio Zayas Chirife, Governor of the Bank for Paraguay', Joint Annual Discussion of the Board of Governors, 28-30 September 1999. 'Violence against strikers protesting IMF privatisation', Stop-IMF email list, 25 June 2000. 'IMF concludes Article IV consultation with South Africa', IMF Press Release, 10 March 2000. 'South African unions in unemployment protest', Financial Times, 1 February 2000. 'Mbeki shifts the emphasis to business', Financial Times, 1 February 2000. 'South African bitterly criticizes IMF policies', Chicago Tribune, 14 April 2000. 'Searching for a workable solution', IPS, 29 August 2000. 'IMF approves ESAF loan for Zambia', IMF Press Release, 26 March 1999. 'IMF completes first review of Zambia under PRGF-supported programme and approves US$13.2 million disbursement', IMF Press Release, 27 July 2000. 'IMF reforms have brought poverty', The Post of Zambia, 9 February 2000. 'IMF faces new round of protests', One World News Service, 26 April 2000. 'Letter from Zambia', The Nation, 14 February 2000. 'IMF urges Zambia to put economics before politics', Development News, World Bank, 7 August 2000.